At AitThemes we continuously look for new ways to make our services better for you. By adding new themes, plugins and improving functionality of those already existing, developing new features, the need for better support system has arised. Number of support requests has increased significantly in the past year therefore we’ve created new support system. All your queries will be dealt with more efficiently and faster than ever before. Effective 22nd January 2016: your customer account has been migrated to our new support system. You can login any time by using your current username and password at this link: https://system.ait-themes.club. 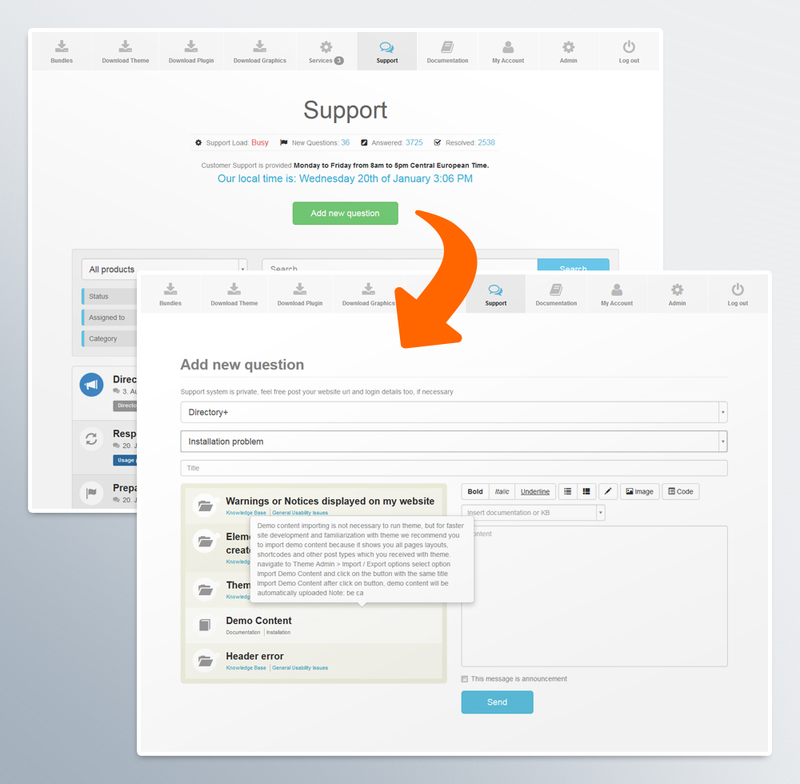 Please write your new support queries into this new system it will more comfortable for you. Effective 1st February 2016: please note that all new support requests are being received via new system only. Old support system is no longer being updated. You can still login and review your old queries there however you won’t be able to add new questions. All opened (remaining) questions will be answered by our support team. New categorisation of support requests. Each item is being labeled as it arrives to us which helps us to deal with it faster than ever before. You can be sure your question is being looked at by one of our specialists right away. Better search options – easier to find documentation you’re looking for. There’s no faster way to get an answer then read it before submitting the question. Yes, there is high chance that you’ll find documentation or knowledge base document about what you need to know. Just scan through our new support site and you might find the answer really quickly. Private questions. Most of the questions in an old support system have been public. We found it was overloading our sites as you could keep scrolling down endlessly and get lost in all the posts at the end. To prevent this we’ve decided to go for private questions instead. It might give us a little bit more work to keep everyone informed of all the answered questions there is but again, it will be easier for you to find your answer through better categorisation and search options. Enlarging knowledge base. Our new dedicated team will be working on adding all repeating questions to the documentation or knowledge base. This way all our customers will be able to discover the full potential of our products and services just by reading the step-by-step guide. Your feedback is most appreciated. Please always leave a feedback for us to learn how we’re doing and what can we improve. We’re more than happy to hear your thoughts and suggestions. 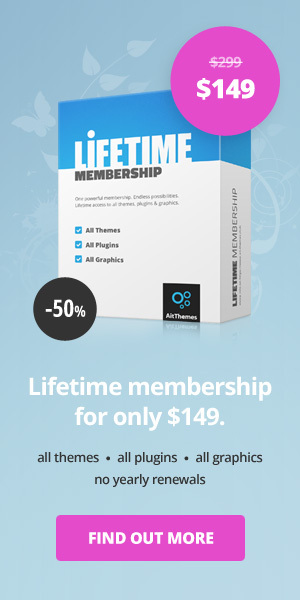 If you already have an AitThemes account, this is now migrated to https://system.ait-themes.club site. You should have received your login details by e-mail. Let us know if you haven’t. There’s no need to do any extra work for you, just log in with your existing details, follow the menu and submit your question. Which software do you use for the new support system? thanks for asking. The software we use is developed by our front-end programmer based on our requirements, thanks to which we are able keep improving it. We would like to offer your etc. themes as CityGuide our customers, but the error messages in https://developers.google.com/speed/pagespeed/insights/ are just too many! thanks for asking. We are aware of some issues with the speed of theme and therefore we have already made deep analysis in order to take corrective actions. In this way our developer already has found solutions for AIT Toolkit plugin with great results. And that’s not all, he keep saving more and more tens of miliseconds. Estimated time to finish this operation within 1-2 months. Please, stay tuned :). some of issues are not theme regarding except CSS and JS. We are aware of it and have a plan to optimize cashing troubles. ETA – we strongly believe we will manage it during this year. Optimization of Images must be performed by an external services. I am just getting started with AIT Themes after purchasing a club membership. I have some issues with items not displaying but have found that support response takes DAYS! Is this typical? If so, the themes are of no use to me. How may I request a refund of my club membership? It has been just less than 30 days since I purchased. Thanks. your question has been answered within 1 working day. Yes, we do not provide support during a week-end, we are sorry for your misunderstanding. we are very sorry for delayed answers, please also kindly note that by posting 4 new tickets/pre-sale questions regarding the same issue has an impact on overall average time to answer to questions to rest of all clients … Thanks for your patience and understanding. I just bought the premium package and so far I haven’t been able to use it because of the script error code on your theme. I submitted a support ticket, and I have to admit, your support is terrible. I have waited 3 days and still waiting then being bumped back 2 places. What’s the use of having nice themes if you don’t have the support to take care of your customers? Should you have further theme-regarding issues, please keep contacting our support forum which will enable answer you to most efficiently. Secondly, please do not double the questions which decreasing the speed of answering to all audience. I have problems with the PageBuilder of Langwitch Theme. I can’t add no more elements. After importing a page the site is corrupted. I asked my question in the support but don’t get an answer. Secondly, if it doesn’t help, please provide us of your user name or purchase code from our system.